Montreal car mechanic reviews are strangely hard to find. I did some Google searching and there are no clear reviews on where in Montreal you should take your car to if it ever needs repair. So now I am taking a chance on a local car mechanic and try to avoid being ripped off. 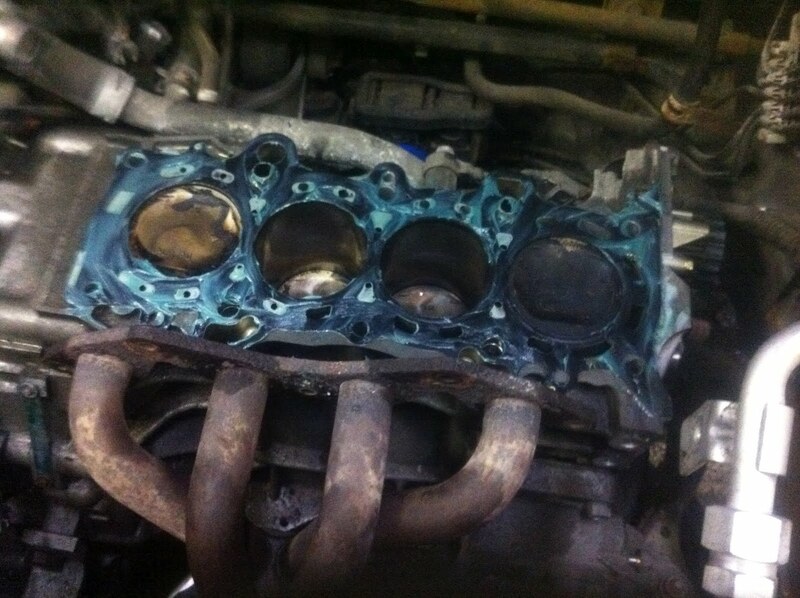 My car's head gasket, and head (both parts of the engine) are damaged and need repairing. The car dealer charges over $200 just to figure this out (pretty expensive just to tell you some bad news if you ask me). Now we all know not to go to a dealer for basic car services. Lesson learned. Fixing the head gasket is no small task, as it means taking the engine apart, fixing/replacing parts and then putting it all back together. At this point you may as well change the timing belt as well as the alternator and power steering belts. The water pump also should be changed at this time. The car dealer's service center quoted me (get this): $3300. Car mechanics only get paid $25-35/hour so you can only imagine how much of a markup the car dealer enjoys. But, they decided to offer me a discount and reduced it to "only" $2700 (taxes included). They clearly know the margins they are quoting are insane and better yet—No courtesy car for me, BUT you can rent a car...At your own expense of course. (To be fair they have two courtesy cars, so you just have to be super lucky to get one). In the end, they want $2700 from me and cannot provide me with a courtesy car. Thanks for nothing. It was the last straw...It's time to find a new car mechanic. Finding an honest mechanic. Car mechanics have always had a bad reputation. Whether they are overpriced or dishonest it just leaves a bad taste in your mouth. From what I have read, places like Canadian Tire (and chains in general) are not any better. They often get a commission on your bill, so of course they want to fix as much as they can, or charge you for extra hours just for the fun of it. Choosing a car mechanic is tricky, as most do not seem to have much of an internet presence. So I took a risk and went to a small one-man car shop, and am now reporting back my findings. I finally decided on Rajcan Auto Center which is run by Indy (his name). I'm happy to report that the experience was positive. He takes the time explain what he is going to do and his prices seem fair. He also provided me with a courtesy car (it's old and kind of beat up, but it definitely beats renting a car). I also recommend communicating with him by phone, rather than by email. At the end, if you are interested, you can see the old parts he takes out of your car (kind of like seeing your wisdom teeth, after a trip to the dentist). He fixes only what needs to be fixed, and in the end the total was $1450 (taxes included). Of course the savings compared to the dealer are significant, but it all wouldn't mean anything if the repair job was performed poorly. The good news is that right now I have absolutely no complaints. Everything is working as well as I hoped for. The engine is running great and all the symptoms I had before are completely gone. I'm skeptical of anything new and unknown by nature, especially with car mechanics. If there are any updates I will report back here (good or bad). But, as of right now I can highly recommend Rajcan Auto, if you are looking for a good honest car mechanic; one that I will be returning to for my own car. honestly hands down of the best mechanics in town ... its a one man shop so you now he gives your car the attention it needs and you can tell he has experience because he doesn't give you a story about what else needs to be changed. Been going to him ever since he sold me my first used car in 2000 once i moved here from Romania. That's a good point, it is personalized service. Not in and out like a fast food place. Indy is reliable, knowledgeable in his field and very accommodating.He will fit you into his busy schedule.He is also very honest and we are very happy with the services he has provided. Indy is very meticulous in his work. He takes great care of your car. I've had him do work 3 times on my car so far and will not hesitate to return to him and refer him. Indy Singh did a wonderful job replacing the brakes on my then 5 year old car. He gets the job done quickly within the time set at a very reasonable cost. He goes the extra mile to explain what he's done, answer all questions, all in a personable way. I would highly recommend Indy's work. An extra is he provides a loaner car if needed. Indy provided me with great service on short notice and pointed out a few small problems with the vehicle that could have resulted in more expensive repairs if not corrected. I will not hesitate to use his services again in the future! I tried Garage Auto Richard on rue de Sorel. The owner Mario was great and did a good job on a my honda for a fair price. I would recommend him as well, he has great reviews on google as well, that is where I found him. Indy is a great mechanic, highly recommended! I came in with an unknown noise from my car and he found it and the noise is gone! Takes the time to show you the parts he replaced, and having a loaner car is a real plus. Don't hesitate! Been to Rajcan Auto twice now, he's The best mechanic I've ever dealt with. He's gotten me out of two pickles, once on a saturday and another time he worked until 8pm because he knew I needed my car that night. Very honest, very pleasant to deal with, explains things well. 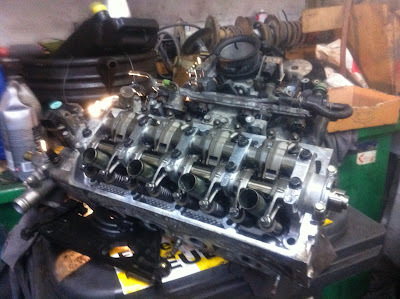 I do alot of work on my car myself and have dealt with alot of mechanics as well. This guy is nothing short of excellent, and even gives you a loaner car in the meantime. It's a small shop with big heart.Highly recommend. Ok, you guys are happy with Indy, but would you pls give me his address ? Is he in Montreal? His address is in the blog post. Indy is honest and very reliable. First time to try based on the reviews here and highly recommended ! Nothing to say , Indy is well experienced, and every time i go to his garage I get a perfect service, if your car has a serious problem you are able to gat a courtesy car. When you go there , the car repairs are done propperly and you can get good advices on how to maintain your car. It is obvious that reliability is the key at Indy's car repairs centre,that's the reason why i do not check other places, I go always there. I got my exhaust done and they fixed only what needed replacing. Much less than the 2 other quotes! I also got a courtesy car so my day wasn't wasted. So impressed that I went back to get my brakes done. It's not easy finding a good mechanic. Give these guys a try and you will not be disappointed! Indy is a well experienced mechanic, he always provide good adices and services. It has been more than one year that I go to auto Rajcan, the repairs are done properly and Indy is a very reliable person, he always takes care of my Honda and in case my car has a serious problem i can get a courtesy car. Well, it is obvious that this place is one of the best garage in Montreal.